In the past we have coveredÂ many tools like sysinternal process explorer which lets you diagnose, troubleshoot and resolve Windows performance using the information obtained from the processes running on yourÂ laptop or desktop. Today I will be talking about a excellent tool called Spotlight on Windows by Quest software which lets you do the same in a much better way letting you resolve problems even before they occur by triggering alerts. After installing it, the interface may once look confusing to you. Even I was confused what to do now. But its simple. You need to create a new connection to your computer by browsing to File>>Connect>>New Connection. Just give it a name whatever you want and make sure you select “Local Machine“. You need not fill any other details. After that, now you can see a whole lot of information about your system. 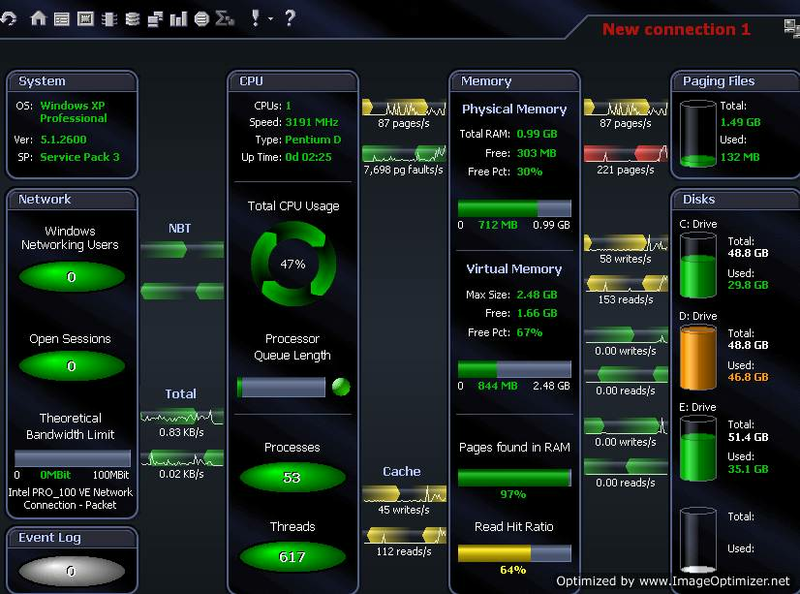 Almost everything that’s going on your computer can be seen visually using the interface. You can have information like System, Memory usage(both physical and virtual), Processor queue information, Hard disk information and much more. All this info is real time and hence gives you a accurate information. Initially, a calibration time of 1 hour is set which lets it show more accurate information after calibration. If you digg deeper, you can have detailed information on process , services, drivers running along with all the information associated with every process like history, memory, status etc. You can have a detailed info on the drivers that are being loaded, services that are running and whether they can be stopped or not. Basically it means everything you need about anything that’s running . It also triggers alarm if any process that’s runningÂ reaches a threshold and can cause a system issue. When you click on it, it givesÂ you detailed info on the alarm along with what you should normally check and do. If i start writing about each feature, then may be I need to write 5-10 posts. So, if you want to know more just download it and use it on your system. It will be the last thing that you would need if you want to find out anything that’s happening on your system. Interesting software. I downloaded the zip file ,extracted and ran the setup file. But it said we need a key to activate the free version. I downloaded and installed Spotlight on Windows only to find out the 1 year temporary license had expired. I had to go to the Quest home page to find the dowload link. Their was a small form to fill out to download the software and they also give you the option of just the license alone. I just got a new license, entered it into Spotlight on Windows which gave me until the end of the year to renew. 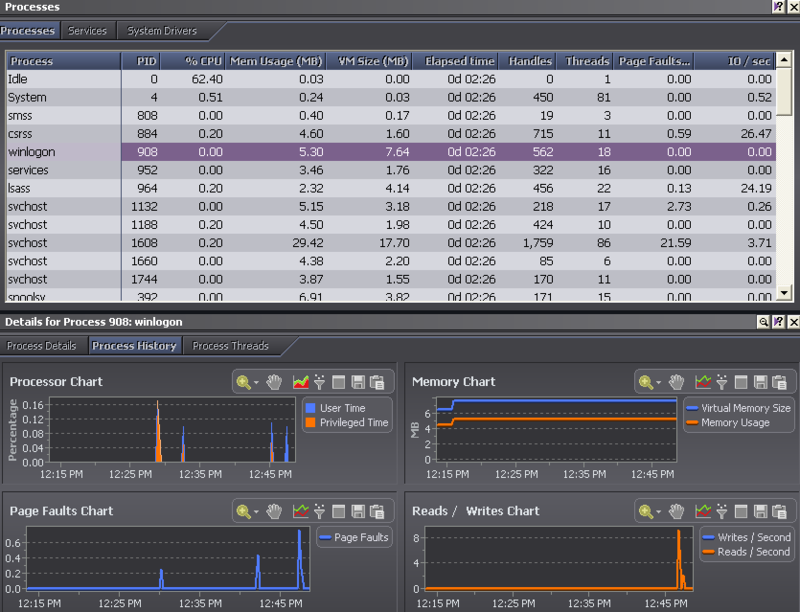 I ran the program which monitors your system while you do what your normally do. 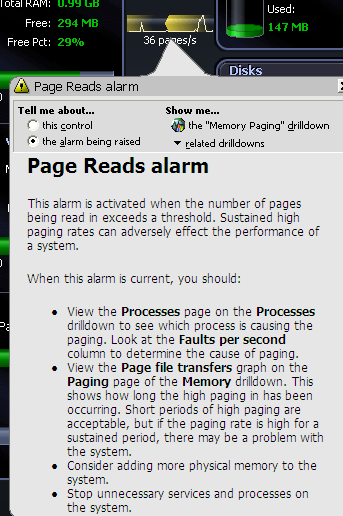 It wasnt long before i got a warning that one of my processes was causing to many page faults. It turned out it was Kaspersky Internet Security. I have been having a problem when muti-tasking for awhile and it turned out this was it. After spending some time with this program, I found out I love it. I am going to be using it all the time to find out where my bottleneck are. Thanks for the heads up !